Finger jello is a favorite treat of my crew, even now that the boys are bigger. It's fun food. 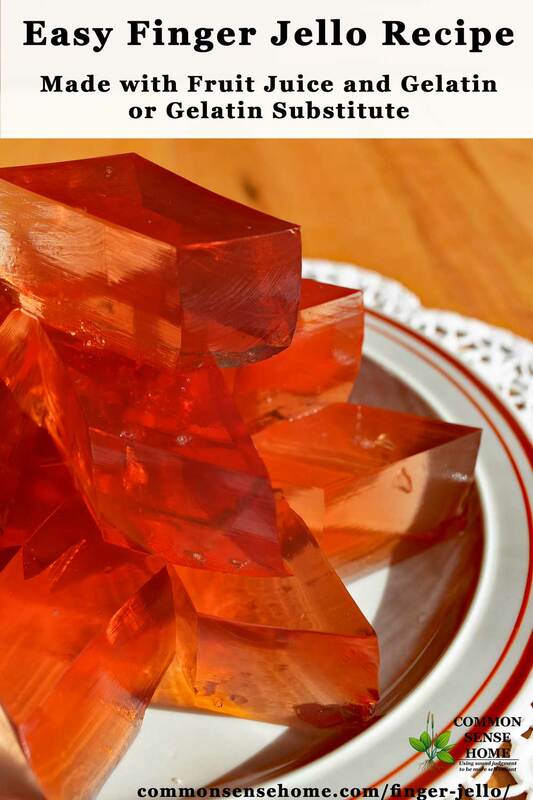 We like to use the Knox gelatin finger jello recipe, so we can use the fruit juice of our choice. 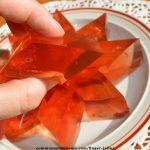 If you want to make finger jello without gelatin, try substituting agar agar. During apple season, we make apple cider gelatin, which is quite yummy. 4 envelopes (1 ounce) unflavored gelatin (That's 3 tablespoons plus one teaspoon of bulk gelatin) Knox Gelatin is readily available at most grocery stores. Great Lakes Gelatin is certified Kosher. You could also substitute agar agar. Prepare hot ingredients – If using juice with herbs, place juice and herbs in medium sauce pot and simmer for 10 minutes. If using tea, brew tea and let steep for 10 minutes, covered, then mix with juice in sauce pot and heat to boiling. 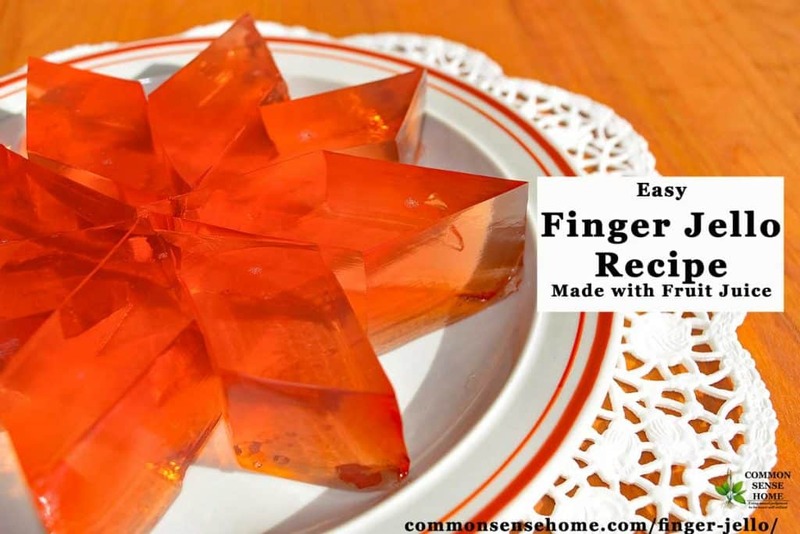 Easy finger jello recipe made with your choice of fruit juice and gelatin, or gelatin substitute.